ANTALYA, Turkey (AP) Tommy Fleetwood is leaving nothing to chance in his bid to become Europe’s top player for 2017. Fleetwood holds a big lead in the Race to Dubai standings heading into the Turkish Airlines Open starting Thursday. He played the WGC-HSBC Champions in China last week and will also compete in the final two events of the European Tour season, in South Africa and Dubai. The 26-year-old Englishman, who recently became a father for the first time, is the only realistic title contender to be playing the last four tournaments in the Race to Dubai. ”Can you imagine if I had a week off and then lost by 20 grand ($26,500)? I can’t let that happen, really,” Fleetwood said Tuesday. ”If I don’t win it now, if somebody like Justin (Rose) or Sergio (Garcia) was to win an event, I can’t do anything about that. But if I had left it out of my control a little bit, then I’d have been quite unhappy with myself. 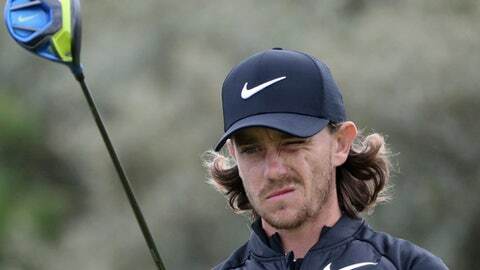 Fleetwood has a lead of more than 865,000 points over nearest rival Garcia, with Rose another 190,000 points adrift after winning in China last week. Jon Rahm is also in contention but he and his fellow Spaniard, Garcia, aren’t playing in Turkey this week. Rose is playing two of the final three events and is within a victory of catching Fleetwood. There is $22.5 million up for grabs in the last three events of the season, which are all part of the Rolex Series. Fleetwood has peaked in many of the big events this season, winning the Abu Dhabi HSBC Championship and the French Open, and finishing second at the WGC-Mexico Championship and fourth at the US Open. He also managed top-10 finishes at the Irish Open and the Italian Open – both of which are Rolex Series events. For the opening round, Fleetwood will partner Henrik Stenson – the 2016 Race to Dubai champion – and Rose.